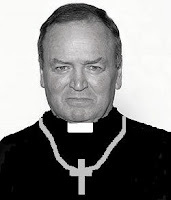 The Right Reverend Graham Henry's crass comment that match-fixing may have been to blame for the All Blacks' defeat to France in the 2007 Rugby World Cup quarter-final does his credibility, and that of New Zealand rugby, no favours whatsoever. Henry's suspicions, apparently revealed in a forthcoming biography, do nothing more than highlight a deep-seated arrogance and ignore the basic facts that New Zealand, with a plethora of possession that day, were guilty of poor execution and terrible decision-making, both on and off the pitch (Henry’s decisions to field a palpably unfit Dan Carter and to select Mils Muliaina out of position being just two examples). The comments are clearly designed to ensure that the biography sells like hot cakes but, whilst match referee Wayne Barnes and his team may have made errors on the day, so did New Zealand and for Henry to seek to impugn the integrity of the match officials in such a way to deflect attention away from his own failings is nothing short of disgraceful. I think the comment from Henry saying that 'the French played better than we thought they would' says it all. NZ clearly thought they would romp to victory as they had done in their previous meetings in the preceeding four years. When the French actually turned up, the ABs were stunned and didn't have a plan B. That was the main problem, as well as a series of injuries to key men. Having said that you can't just ignore poor officiating. It is interesting that Bryce Lawrence has been sidelined by the IRB after his poor game between Aus and SA and yet Barnes has had no punishment. I also think Henry is right to question why the IRb don't look into irregular betting patterns. That is not to say that something dodgy was going on, but as a precaution that kind of thing should be looked into surely? Not just turn a blind eye. Shame on you Mr Henry why blame others for your mistake. The All Blacks are consistently the best team in the world and everybody always looks up to them. You've just spoilt it though by claiming others cheated; not good and against the gentlemanly sport of Rugby Union. Why not go and coach a football team?